Gray is committed to developing indigenous epistemologies as a crossover into mainstream practices of dance and theatre. Since 2012, he has fostered an intercultural network of communities in the United States, activating cultural awareness and promoting strategies for indigenous empowerment. He has collaborated with Dancing Earth Creations (New Mexico), Bernice Pauahi Bishop Museum (Hawai‘i), University of California, Riverside, and University of California, Berkeley, among many organizations and institutions. He is the Spring 2016 Artist-in-Residence at the Asian/Pacific/American Institute at NYU. In 2016, Gray was awarded membership to Toi Iho, a trademark that guarantees authenticity and quality for Māori artists. As a trained contemporary dance artist, choreographer, writer, teacher, and now facilitator, I fall into spaces of the in-between, circumnavigating linearity in favor of discovering the potential, intuitive, and liminal. The work is constantly shifting, expanding, and articulating embodied experiences of the environments we move through. 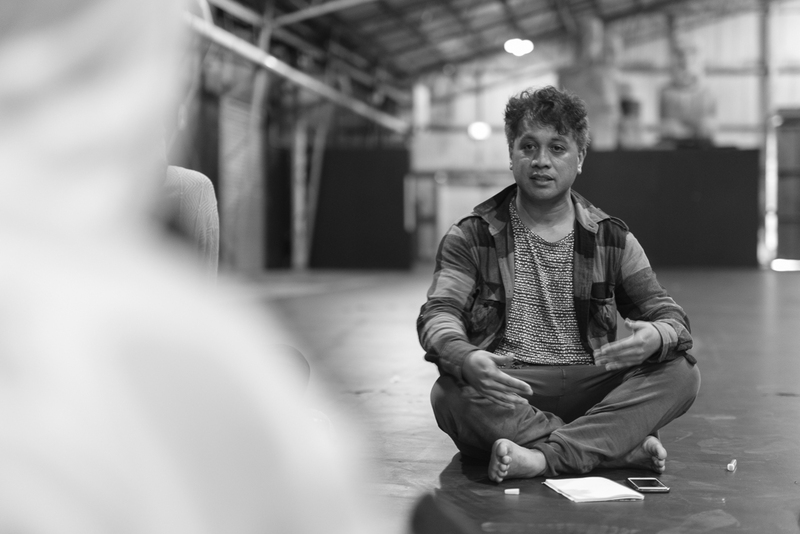 Seen through the cultural lens of my genealogy as a New Zealand Māori, my history, present, and future identities swirl in my dance-making, while magnetizing the collective instincts of other people. My facilitation work has been to gather people within institutions to provide new avenues for sharing—sharing as an exchange for knowledge and sharing as a human value for recognition. Since 2011, I have traveled back and forth between New Zealand and the US, collaborating with Native American, Hawaiian, Chamorro, Alaskan, and other indigenous peoples. My return to the A/P/A Institute at NYU comes after a successful week of workshops, site visits, and roundtables called the Transformance Lab (Spring 2015). I am looking towards creating another provocative space to shift, shake, and stir things up. I am looking forward to seeing a new performance work emerge from this, and to embrace all that occurs in this particular moment in time. 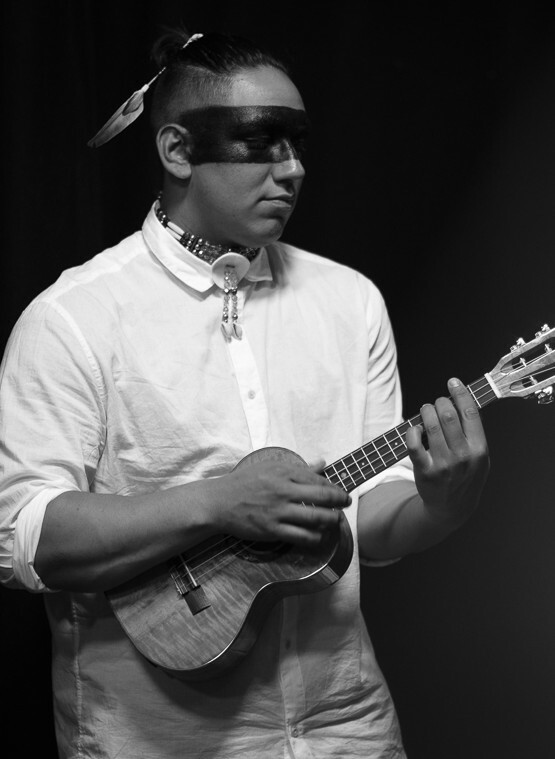 I will create a forum for collaboration and present a performance work-in-progress, drawn from the real-life concerns, values, and expressions of the Lenni Lenape people of Mannahatta and beyond. This project will give new creative insight into how relational opportunities in indigenous spaces can progress ways of connecting to and with each other. Jack Gray can help us find our way. And by “us” I mean New Yorkers, all New Yorkers, especially at this time xenophobia, racial reconstruction, and reviving a just public commons. But it’s more than that. Aolepān Aorōkin M̧ajeļ is the Marshalls’ proper indigenous name. It’s an ancient archipelago of over 1,000 once volcanic atolls seemingly remote and removed from the rest of humanity. In this seemingly isolated place so many issues past and future converge. Besides the worlds garbage washing onto the shoreline (Pacific Gyre anyone? ), Mr. deBrun recalls fishing with his grandfather at age nine when, “Within seconds, the entire sky had turned red, like a fishbowl had been put over my head, and blood poured over it.” This was the detonation of one of sixty-seven nuclear bombs detonated by the US military nearby. What’s wrong with the Times feature? It resorts to the liberal (elite) language of philanthropy to justify why we should care. In the very first paragraphs, these Polynesian peoples are referred to as slum dwellers with thirteen living in a four-room shack. In terms of US eugenics-infused linguistic norms, these people must not work hard, must be “backwards,” and somehow deserve such a fate. This is an outdated Progressivist top-down policy logic, which quickly falls into the trap of conservative fundamentalist who justify their overwhelming wealth and power. Why should “we” bail them out when they’ve not been able to work their way out of these places? With such reactive policy logics, the US should not be responsible for un-Protestant-like sloth. What’s this got to do with Artist-in-Residence Jack Gray? Simply—in the midst of frequent violence and violation at home and abroad—this culture seems incapable of finding its way in the world other than exerting its global commercial and military power. We need a spiritual renaissance that reinvents our understanding of what’s important, what’s valuable. The billionaires cannot get us out of this mess. We need something more fundamental than a hubris and philanthropy. We need to rediscover core values anew. Recognizing deeper human knowledge and resourcefulness seems key. Here recognizing Indigenous Marshall Islanders’ deep knowledge of oceanic navigation and this culture as a global inventive treasure is critical. Their close observation of the horizon at sunrise and sunset, the study of ocean waves, of birds and sea life, and understanding the stars have enabled navigators to wayfind across vast stretches of waters as large as the north American continent. This was a great technical accomplishment to be sure, but more importantly one that is infused with deep understanding of the natural and celestial worlds. We need to walk amidst the haunted ruins of this island of Mannahatta to be able to feel the struggles in the Pacific are also ours. In response to “so what?” we need a renaissance of our spirit and understanding.